The Park at Clear Lake offers gorgeous updated efficiency, one, and two bedroom apartments in Clear Lake, TX. One bedroom layouts are sized at 504 and 670 square feet. Two bedroom floor plans are 800 and 850 square feet in size. Residents of The Park at Clear Lake enjoy a wealth of community amenities in addition to well-designed floor plans with considerate features. We are a welcoming place to call home. All apartment homes feature faux wood flooring that is both beautiful and easy to keep clean. Energy-efficient dishwashers and refrigerators offer a modern touch in sleek white finishes. You can keep your environment just as you and your pets like it with air conditioning and a digital thermostat. At The Park at Clear Lake, you’ll appreciate the convenience of on-site laundry facilities, carport parking, and doggie stations throughout the property. Down time is well-spent beside the refreshing swimming pool or grilling up some steaks and burgers at the outdoor grill area. Our location is near Lake Nassau Dog Park and Bay Area Dog Park for exercise and canine social time. 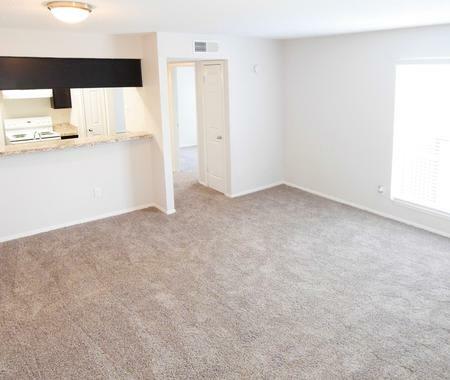 Connect with us to arrange a tour of your next efficiency, one, and two bedroom apartments in Clear Lake, TX.